Western Cape, 2008 – Have you ever climbed a hill with two clunky cameras, a tripod and a toe full of gout? Yep, that’s me hobbling up there as my wife Jules strides ahead, in the pre-dawn gloaming above a tiny village called Klaarstroom. Too much party at the Karroo Theatrical Hotel outside Steytlerville has brought this acidic abomination upon me, but like a good little road warrior I soldier on up the hill. 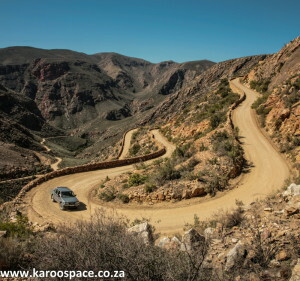 The excellent Swartberg Pass – not to be missed. 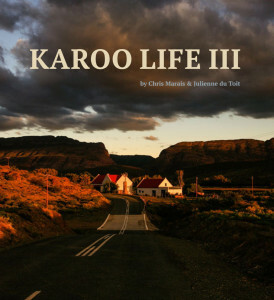 That’s because Klaarstroom at dawn is a wunderwerk of note, this narrow gateway between the Great and the Little Karoo surrounded by the Swartberg and the Witteberg in a grand sweep of mountain and rock. The backyard horse, the Dorper sheep with their square faces and the local shopkeeper stare up at what must surely be a mad hunchback chasing a fair maiden on the ridge above them. But hell, when the dawn breaks over Klaarstroom, it’s worth the cat-calling, the neighing and the bleating to be up there. Sharon and Jeremy Witts-Hewinson of the Klaarstroom Guesthouse are our first official stop on the Drive Out tour of The Alternate Route 62. This trip will take us from Klaarstroom to Prince Albert over the Swartberg Pass and down the Gamkaskloof Pass to Die Hel. Take the road down to De Hel with great caution. From there we will drive through Kruisrivier, Calitzdorp, the Seweweeks Poort and on through the Bosluis Pass to Gamkaskloof Dam. 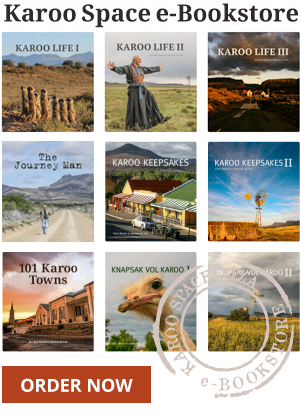 We will then stay over on a farm on the Laingsburg road and make for the Anysberg Nature Reserve via the Rouxpos road. 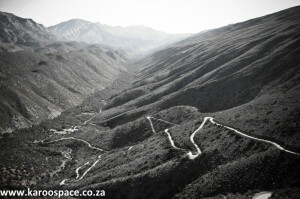 Crossing the R62 at Ladismith, we will head south to Vanwyksdorp and drive the Rooiberg Pass. 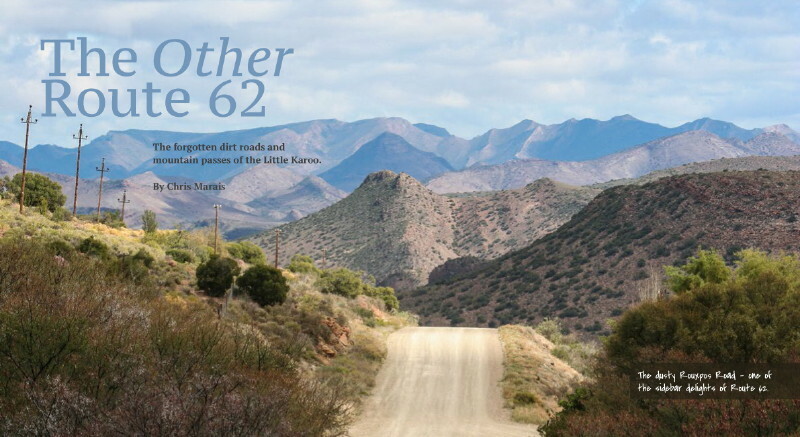 Rejoining the R62, we will proceed to Barrydale and on to Montagu – then turn around and do it all over again on the way to our home in Cradock, Eastern Karoo. That’s nearly 1 200 km of mostly dirt. But for now, there’s this damn toe. Well, not only do the Witts-Hewitsons give great guesthouse, but also wonderful medical advice. And bloody hell, Dr Pete actually does. Not only do I get a pain-relieving injection from the man, but we also sit down for 30 minutes and discuss this body acid thing.